James Rodgers is the author of 'Headlines from the Holy Land: Reporting the Israeli-Palestinian Conflict' (Palgrave MacMillan, 2015, 2017); 'No Road Home: Fighting for Land and Faith in Gaza' (Abramis, 2013); and 'Reporting Conflict' (Palgrave MacMillan, 2012). A journalist for 20 years, he worked for Reuters TV and the BBC, completing postings as BBC correspondent in Moscow, Brussels, and Gaza. He is now at City, University of London, where he leads the MA International Journalism and the Erasmus Mundus MA in Journalism, Media and Globalisation. 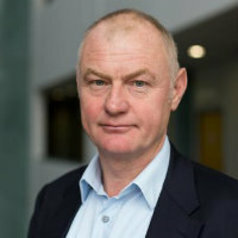 The subject of his PhD (by prior output), completed at London Metropolitan University under the supervision of Professor Paul Cobley, was 'Reflective Journalistic Practice in an environment of uncertainty and change'. He also has a BA and an MA from the University of Oxford, where he studied Modern Languages (Russian and French).